The thing about pricing software-as-a-product is that… it’s complicated. It really is. Some entrepreneurs are afraid to start pricing too early, some can’t find the perfect model for their business. Some are afraid to experiment with their pricing along the way, others are raising their prices every other day. But one thing never changes. No matter pricing plans, there’s always a demand for free software. There are always startups and small businesses that need a little help for free. Note! Almost without exception, we’re going to talk here about freemium live chat tools. This means the tools from our list are technically paid, but provide one or another limited version of their software for free. In case you haven’t realized it yet, yours truly is also a free live chat software. What it really means is that we provide some version of our software for free. Not without vanity, we made sure to make it one of the most extended on the market. Our COO Paul spent months researching all available free live chat tools, comparing them and finding the perfect middle ground between being free and being of the highest possible quality. (Lots of his findings found their way onto this article, too). 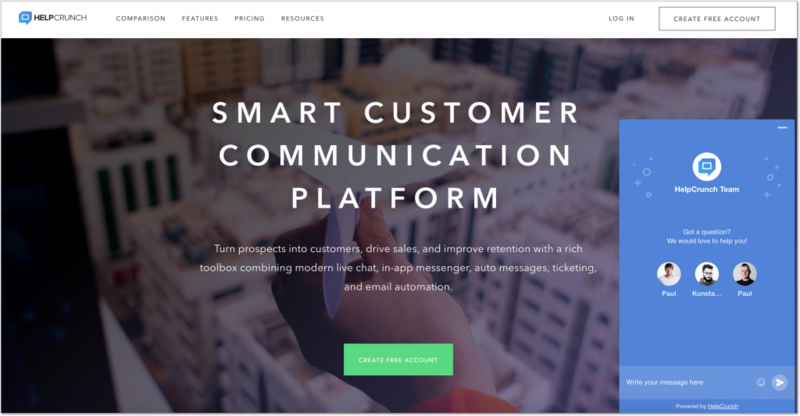 1 concurrent auto message for proactive chats based on behavior triggers, in-app targeted messages, etc. I’m sure you’ll find our free live chat version more than enough for your startup or a small business. 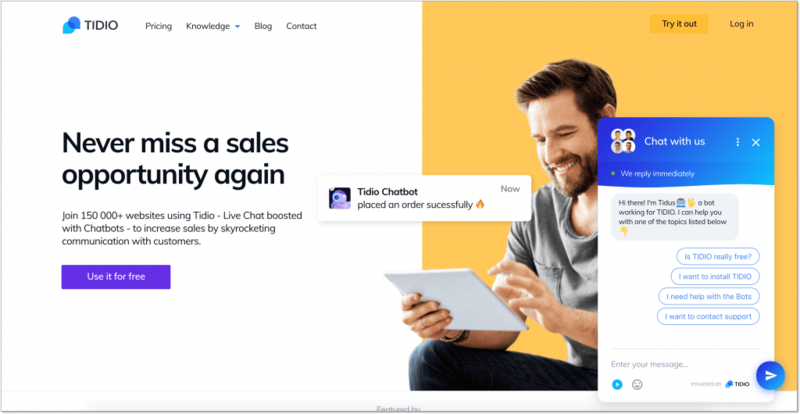 Business owners and sales managers will especially appreciate the auto message functionality since it’s something other free live chat tools don’t usually offer. In terms of limitations (cause there are always some when it comes to free stuff), you can’t unbrand your live chat widget. But if you find yourself in need for more contacts, you can always delete older ones, no biggie. So all in one, HelpCrunch gives you all the best stuff from the live chat world for free. 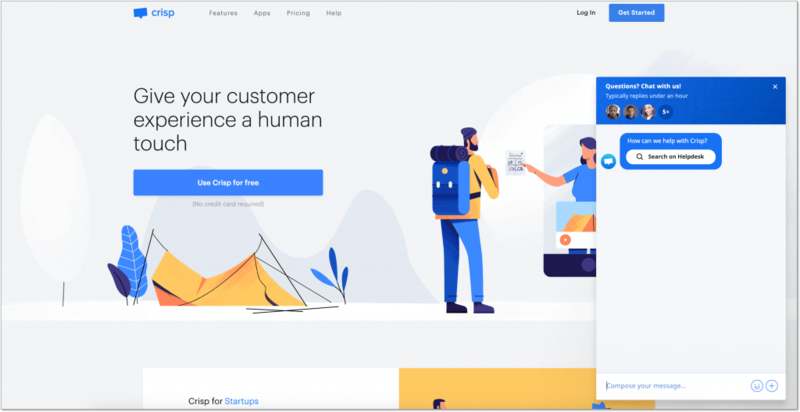 Zopim was once an independent live chat tool until it was purchased by Zendesk, which was a ticketing system at the time. 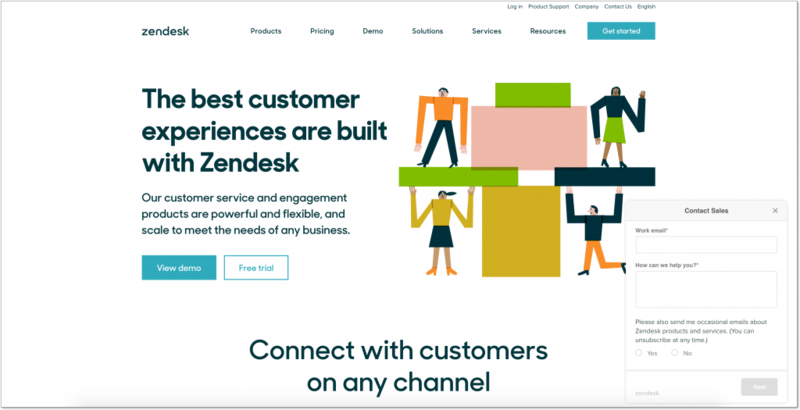 As a result, Zendesk is still one of the most comprehensive ticketing-slash-help-desk tool on the market. Live chat? Not so much. No chat reports, but chat rating is available. I guess the biggest limitation to Zendesk’s free live chat software is that you can only manage one chat conversation at a time. Yep, you got it right. You won’t be able to run a couple of chats simultaneously. On the plus side, though, they don’t put any limitations on the number of contacts you can store simultaneously in your database. Funny as it may sound, what I personally adore about Olark is their… website. I mean, it’s so simple and clean, and not overloaded with tons of landing pages, menu items, and BS terms. It’s really refreshing to see something that unspoiled. 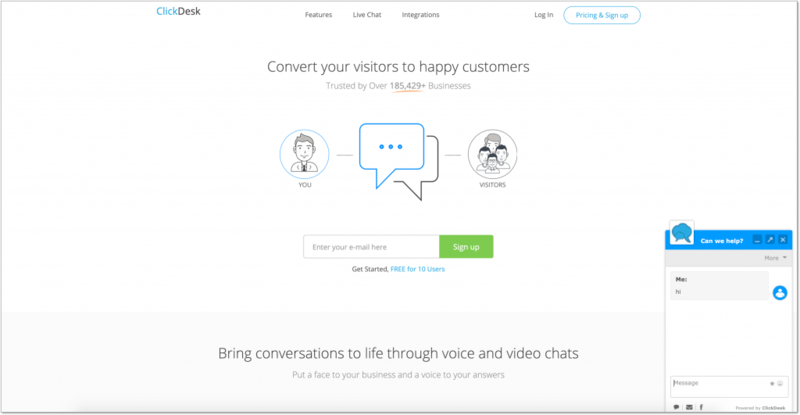 Just as their website, their live chat software is that simple and nice. But I’m not sure it’s a good thing when it comes to software. Additionally, their free live chat version is extremely limited. And I mean EXTREMELY. Even if we don’t compare it to other free solutions, with Olark you’re only allowed to manage 20 chats per month, not more. So if you’re running the kind of business that only has 10-20 chat sessions with their customers each month, Olark is your choice. So, how’s that for the limitations on free software? Here’s for something completely different. Tawk is not just a free customer support tool. It’s THE customer support tool people choose when they need it for free. The thing is, it has a completely different business model. Basically, they just give you the full access to their unlimited live chat software for free, while making money on offering live chat agents for hire. So, if outstaffing your customer support is something you consider for your business, Tawk can be the place to go. Of course, it’s completely another issue that their admin panel together with their live chat can feel outdated and work not exactly properly at times. And yes, I’m not the biggest fan of the design choices they made for their chat widget, but hey, there are honestly much worse options even in this list. It’s a basic set of live chat features you may need and they are available for free. 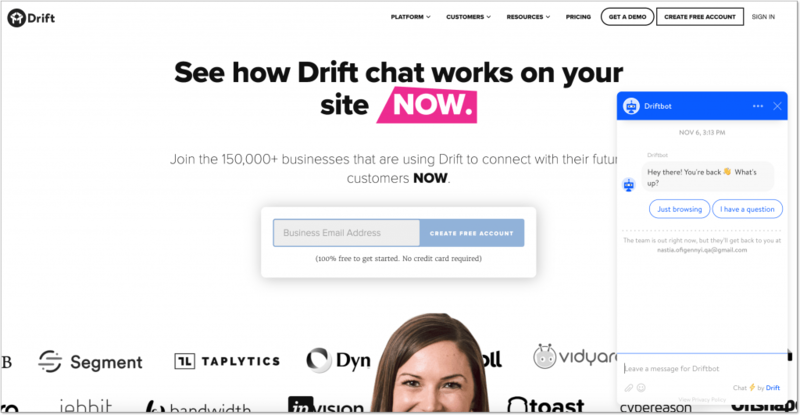 Drift is probably most famous due to ‘conversational marketing’, which is something they came up with. Long story short, conversational marketing is when you use targeted, real-time messaging and chatbots instead of lead capturing forms and wearisome tunnels. That’s the light version. 150 emails/month for sales purposes. 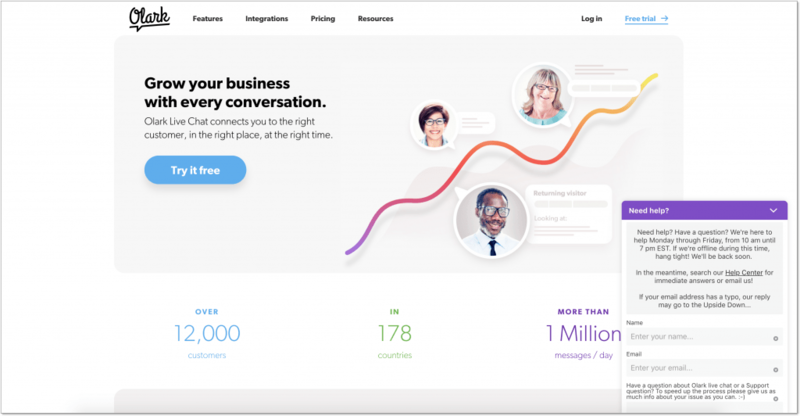 All in all, Drift provides a very decent piece of free live chat software, so it’s something you might want to consider. 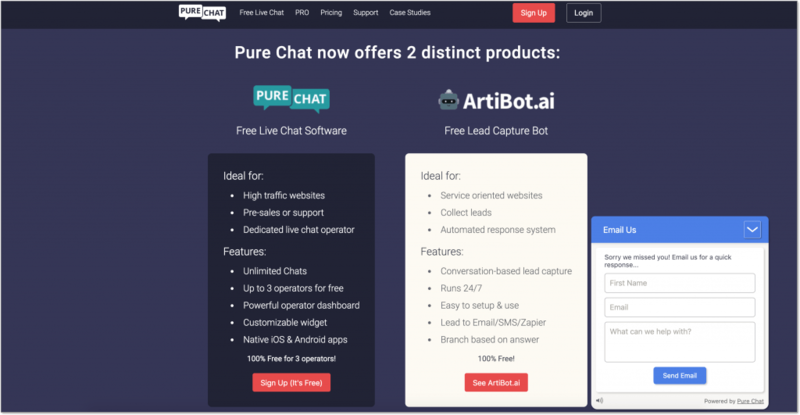 PureChat has only two subscription plans – Free for $0 and Pro for $99/month. PureChat’s free version also includes such goodies for live chat as saved responses, advanced widget customization, integrations among other things. What I like about Crisp is its clean and easy UX/UI. 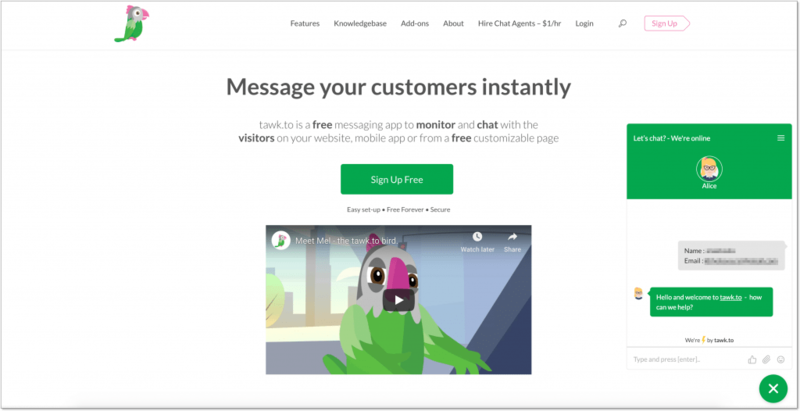 Basically, it’s a nice-looking live chat tool with a clear pricing system (which is rather a rarity in the SaaS world, I’d say). First and foremost, Tidio has an excellent customer support of their own. Yeah, I know they’re competition and stuff, but I just need to mention how fast and to the point their live chat agents are. The thing is, I needed a few clarifications about Tidio’s free subscription plan, so I went straight to their live chat (like all sane people do these days). When I opened the live chat window I saw the promise of an immediate reply. And hell, they delivered on it. If you ask me, that’s a very decent package of tools you can get for free. ClickDesk’s live chat widget looks like it’s been built in 2007 and hasn’t been updated ever since (read: I don’t like the look of it). What stroke me most, though, is that you can add up to 10 agents to your ClickDesk’s free account, but they can manage no more than 30 chats sessions in a month. Additionally, they won’t be able to manage even a couple of chats simultaneously at all. Once you reach the limitation of 30 chats/month, you’ll get locked out so you’ll have to wait until next month’s renewal. I think you’ll agree there’s really no point in having 10 agents on a free subscription here – they will have no work there. I know I said it a lot today, but hey, what can I do if most of live chat widgets look like they are from my childhood. So, I’ll recommend you the following instead. Choose 2-3 options from the list above, use each of them for a couple of weeks, maybe a month, then make a final call. I mean they’re free tools anyway – what do you have to lose?